Approximately 30 people, including Congressional, state and local staff, joined watershed residents on an afternoon tour of Hewitt Creek Watershed project locations that highlight the efforts of local producers to improve water quality. Above, Jeff Pape, center, is interviewed by KCRG-TV prior to the start of the tour. Hewitt Creek watershed consist of 23,005 acres, with primary land use being agriculture. The watershed is located in Northeast Iowa outside of Dyersville. The Hewitt Creek Watershed group formed in 2006 when residents were informed of the streams impairment. With funding from Iowa Farm Bureau and the Iowa Water Improvement fund the council gave incentives for practices targeted at improving water quality. Subsurface drainage makes Iowa’s productive fields possible, but also impacts Iowa’s water quality, in particular by carrying nitrate into streams and rivers. This video explores the process of constructing a woodchip denitrification bioreacter in Iowa. Determining how much manure is being applied is the first step to efficiently utilizing a valuable on-farm resource. Calculating valuable nutrient credits from solid or semi-solid manure applications will help you to determine how much additional, if any, commercial fertilizer is needed to produce the crop. The Hewitt Creek cover crop field day, hosted by the Iowa Learning Farms and Practical Farmers of Iowa, was moved inside the New Vienna community building due to morning rain showers in the area. Jack Smith, a Hewitt Creek watershed cooperator, talked about his experiences with cover crops following the field day program. For more information on research at the University of Wisconsin and Extension’s Discovery Farms, see Watershed News. The U.S. Geologic Survey now includes information on the Maquoketa River North Fork on its National Water Information System web interface site. The USGS monitoring site carries a Hydrologic Unit Code 07060006 and is located at latitude 42°28’14”, longitude 91°07’20” NAD27. Drainage area is 122 square miles.  • Hewitt Creek Watershed map.